Lake Erie - Ohio. Find It Here. The largest island in American fresh waters provides the perfect weekend away for families, couples or even a group of girlfriends. Choose from activities like swimming, hiking, and fishing at Kelleys Island State Park, visit the Glacial Grooves National Landmark on the north side of the island or rent and ride bicycles for a day. Kelleys Island also features its own winery, Kelley’s Island Wine Company, shopping and dining opportunities. The island is also home to many historic homes and buildings. Visit Kelleys Island online to begin planning. 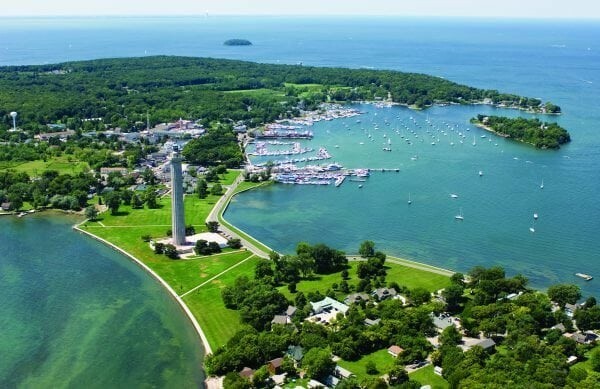 Just north of Kelleys Island, take a trip to South Bass Island, the home of Put-in-Bay, lovingly known to locals as PIB. 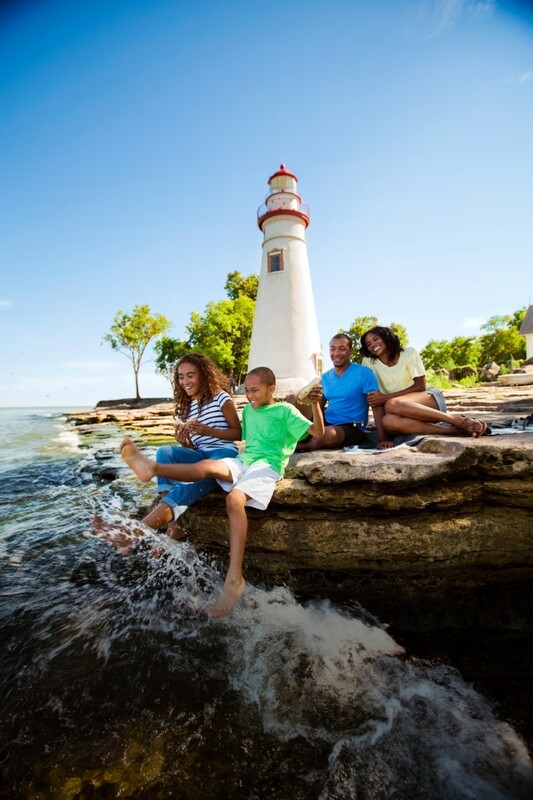 Family activities are galore here, from miniature golf, to cave tours, arcades, and go-kart racing. For adults, enjoy a lively bar scene at night, including “the world’s longest bar” at Beer Barrel Saloon. For the history buff, Perry’s Victory and International Peace Memorial and the South Bass Island State Park are essential stops. Go to www.visitputinbay.com to create your itinerary. Perhaps the least-visited of the islands, this one provides an experience with nature that can’t be beat. 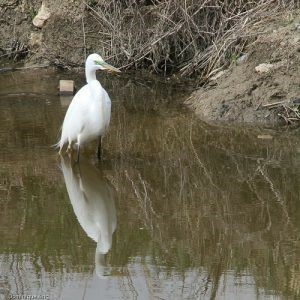 Here visitors can enjoy primitive camping to get a real taste of the outdoors, along with abundant opportunities for fishing and bird watching — in particular at the Keuhnle Wildlife Area. This island also hosts a marina, visitors center and a handful of restaurants and shops. 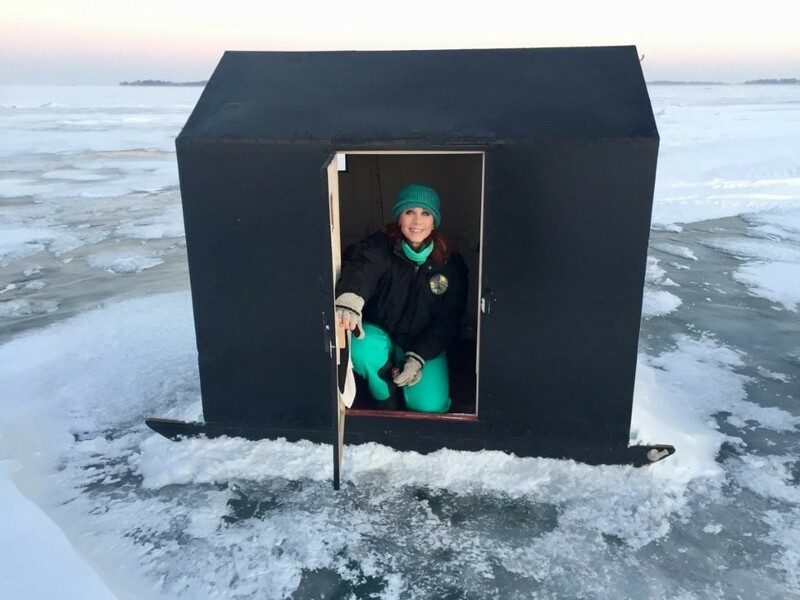 Visit Middle Bass Island online. These two areas offer an “island-like” experience for visitors not wanting to travel by boat. The beauty of Marblehead Lighthouse, the oldest continuously operating lighthouse on the Great Lakes, steals the show in Marblehead. Here you can also leisurely stroll through cafes, quaint shops and art galleries. Later head west to Lakeside. This small gated community offers the perfect night away. Stay at a cottage, inn or hotel. Relax and take in the views of Lake Erie from an Adirondack chair on the dock.